See why folks are raving about the book! ​New Fifth Edition of How Our Government Really Works, Despite What They Say is now available on Amazon, Barnes and Noble (B&N.com), Bardolf & Company and other fine Booksellers. For those fortunate to have Dr. Rubin as their government professor, his book 'How Our Government Really Works, Despite What They Say', his book comes a close second. Dr. Rubin's thought provoking style which infuses it throughout provides an effective way to absorb the material and synthesize it effectively. Not only does it make the subject more interesting than any standard textbook, is is also likely to help improve students' performance. It changes the way I looked at the interworking of our government and made me a more analytical student. Daniel Rubin's book, 'How Our Government Really Works, Despite What They Say' is a clear and easy-to-read explanation of the systems under which the United States is governed. In this respect, it suits the uninitiated outsider, such as myself (an uninterested Brit), but also a perfect reference tool for those studying U.S. government and politics in school or college. I would also go as far as to say that plenty of elected representatives would do well to refresh their knowledge with a quick read! Considering the heated political climate following the 2016 presidential election, the need for an unformed electorate is more pressing than ever. Rubin's 'How Our Government Really Works, Despite What They Say' clearly and concisely explains the tenets of our government while keeping readers engaged with his unique teaching style. This book is simply a must read for anyone who seeks to more thoroughly understand the past, present and future of our American democracy. Our current political climate calls for a curious and incisive analysis, a call Rubin deftly answers in 'How Our Government Really Works, Despite What They Say.' He chronicles the inception and development of U.S. government and illuminates the minutia of the Constitution, ultimately guiding his readers through a crisp analysis of modern political questions. An eminently written, essential read intended not only to educate but to inspire introspection on some of our more pressing national questions. Sorry Chris Matthews! Next year my A.P. United States Government and American Politics students will be reading Daniel Rubin’s “How Our Government Really Works, Despite What They Say!” This book provides an excellent analysis on how our government actually is structured and provides clear definitions and examples that make it perfect for anyone interested in learning how the Framers put together our government and why so many misunderstand how it is supposed to really work! Daniel Rubin provides an inviting and refreshing approach to understanding government ion a growing complex political environment. "How Our Government Really Works, Despite What They Say" is an excellent reference for my students. Perhaps it should be required reading for our elected officials, as they could learn a thing or two!" “How Our Government Really Works, Despite What They Say” takes an in-depth look into just that – politics. Daniel R. Rubin sheds light on the current state of bi-partisan affairs within our government system. The text stresses a need for informed citizens who participate in the process of civic responsibility while demanding the most from their elected officials. Political foundations and terms are explained and concise. This text is a comprehensive read into the critical analysis of how modern government was formed and is presently structured. Current political examples and the impact of modern day media are used to illustrate why the politics of today are failing us as a nation. Any and all citizens who would like to see a constructive change should read this for a better understanding of the status quo. "How Our Government Really Works Despite What They Say" is an excellent resource for students, teachers or anyone who wants to understand the politics of today and how we got here as a society. It should be mandatory reading for any student of history or enlightened citizen. Do not listen to others explain your government to you. Learn for yourself! Government Really Works" is a fine and insightful addition to political science and history collections. The Constitution is a marvelous document that has been the model for many nations. Rubin's "How Our Government Really Works, Despite What They Say" explains how the government is supposed to work under the Constitution and how the system really works because the many players (e.g. Cabinet, executive agencies, lobbyists, media) have created a reality that the founders would have never imagined. But, isn't it sacrilege to portray our government on anything but its founders' most idealist visions? Rubin reminds us that even James Madison and Alexander Hamilton acknowledged that their new government would be to govern men, because angels needed no government. I recommend that you pick up Rubin’s book to find out how to set things straight. "How Our Government Really Works Despite What They Say" isn’t just a great read, it’s a must read for every citizen of the United States. Daniel R. Rubin offers a clear, non-partisan explanation of the US Government – its functions, responsibilities and standards - with real life examples. In an age when political parties and main stream media spin seem to dictate the information we receive, this book takes us back to the facts and reminds us what we’re all about and that we are all on the same side." Daniel R. Rubin in "How Our Government Really Works, Despite What They Say" presents a primer on government, beginning with its Constitutional foundations and continuing through actions of political parties and the media. While the book makes an excellent text for a course on government, its comprehensive compilation of key concepts could also could be used as a handbook – interested in cloture? It is clearly explained. Want to know what the House Rules Committee does and why it is a major committee? Check it out. Rubin has demonstrated an impressive breadth of knowledge and the ability to communicate it well. I found Daniel Rubin's "How Our Government Really Works, Despite What They Say" accurate and readable. If students in my introductory classes were instructed to the level included in the book, time in these classes could be devoted to a more serious and complex examination of American government and politics than is now possible. At this politically charged time, with talk shows, radio pundits and the main stream media skewing our perspective of the interplay of our various branches of government, Daniel Rubin, in a clear and scholarly format explains how the framers of our nation intended it to work. "How Our Government Really Works, Despite What They Say" is a “must read” for anyone who cares about where we’ve been and wants a compass to lead them in the right direction. In a time when "the government" has been reduced to a political catch phrase, Daniel R. Rubin's book offers a thorough explanation of what the American government is and how it is supposed to function. His background as a lawyer enables him to present information clearly and concisely. His experience as professor of American History and a teacher of Advanced Placement United States Government and American Politics gives him the ability to select which aspects of government are most frequently misunderstood. His savvy as a writer translates this knowledge to readers of any age from high school through adulthood. "How Our Government Really Works, Despite What They Say" carries particular importance when sane voices are calling for an informed citizenry. You will enjoy reading "How Our Government Really Works, Despite What They Say." In it, Daniel R. Rubin does what he likes to do most; to teach. But fear not; it is not a teaching that will bore you, but a narrative that will urge you to turn the page and read on. In a conversational style he describes for us the structure of our government as proposed in the Constitution and will promote increased interest and curiosity. An increased interest and curiosity that may well lead to increased participation. In that effort he joins many others who seek to rekindle the spark of We The People. “How Our Government Really Works, Despite What They Say” is an exciting story of the politics of our day. There has never been a period in time when a person who has not been affected to some degree by politics and government. An inspiring teacher, Daniel R. Rubin breaks down the concepts and misconceptions regarding the role of government in our lives. This book is a resource for students, teachers and anyone else who wishes to explore how our government work and how to engage as active citizens. "How Our Government Really Works. Despite What They Say" gave me the confidence to discuss politics with my peers and to help understand what is going on in our world. Our government impacts our daily lives, so understanding how it really works in important! Daniel R. Rubin has given me all of the tools I need to comprehend our political world as it unfolds. I plan to use this book to guide my understanding of government and politics for the rest of my life! "How Our Government Really Works, Despite What They Say" brings Daniel R. Rubin's top-notch teaching to an easy to understand handbook on the inner workings of our county's government. With this book as a guide, I was able to score a 5 on the A.P. Government exam! Daniel R. Rubin dissects the institutions and functions of the US government in a simple, relaxed, and easy-to-read manner in "How Our Government Really Works, Despite What They Say". By analyzing our nation's inception, the U.S. Constitution, Supreme Court decisions, and the seemingly never-ending game of politics that plays out in Washington every day, this book provides the reader with a more accurate and insightful picture of how government works, despite what the politically-biased media may want you to know or believe. "How Our Government Really Works, Despite What They Say" is the perfect educational tool for understanding the complexity of government, and it a must read for all U.S. citizens. "How Our Government Really Works, Despite What They Say" will change the way you understand politics and allow you to see what is really going on in our government. It is not about ideology, is is about facts, reflecting Daniel R. Rubin's dedication to the truth, to the United States Constitution, and to our great country. Neither Republican nor Democrat, but all-inclusive, it is a must read for political science students and for any American who wishes to be an informed voter. To this day, I use it dispel the rhetoric of politics and present the truth, and I will continue to do so throughout my life. I strongly recommend "How Our Government Really Works, Despite What They Say" for all ages interested in learning more about American Government and Politics! My former professor's brilliant analysis of American Government is a must-read for every American. If everyone read this book, U.S. citizens would have the knowledge necessary to help create and promote a stronger government and stronger nation. In order for the longevity of a self-governing people to persevere, the people must be well educated to properly provide oversight over our government. "How Our Government Really Works, Despite What They Say" provides a full context elaboration of the inner-workings of beautifully framed Constitution and democratic-republic that was constructed so long ago. In an era of increasing partisanship, this book is required reading for all Americans interested in taking control of our government. A wise man once said "If a nation expects to be ignorant and free in a state of civilization, it expects what never was or never will be." "How Our Government Really Works, Despite What They Say" is a fantastic read. I highly recommend this book because every American needs to know exactly how the US Government functions. All too often, Americans are misinformed or ignorant about how their government actually works. This leads to politicians manipulating public opinions based off rhetoric simply because they can. Daniel R. Rubin’s book unmasks the truth about why/how the US government functions today and helps highlight the political rhetoric portrayed in the media. Rubin clearly explains how our government was formed, the structure and responsibilities of government branches, and important components of the US Constitution and US Supreme Court decisions. I still find myself referring back to this book to make sure I can see past the political rhetoric in the news. You may find that is one to keep in the front of your bookshelf. in the category of Current Events I (Politics, Economics, Law and Media). The “IPPY” Awards were conceived as a broad-based, unaffiliated awards program open to all members of the independent publishing industry, and are open to authors and publishers worldwide who produce books written in English and intended for the North American market. We define “independent” as 1) independently owned and operated. 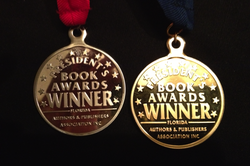 Winner of a 2013 Florida Authors and Publishers Association President's Book Award Winner - Gold in the Education Category and 2013 FAPA President's Book Awards Finalist - Silver in the Current Affairs/Politics Category. Winner of a 2013 Independent Book Publishers Group ("IBPPG") Next Generation Indie Excellence Book Award "Finalist" in the category of Education/Academics. The Next Generation Indie Book Awards is the largest Not-for-Profit book awards program for indie authors and independent publishers. 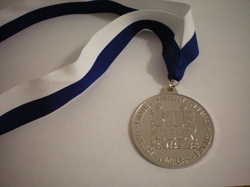 In its sixth year of operation, the Next Generation Indie Book Awards was established to recognize and honor the most exceptional independently published books in 60 different categories, for the year, and is presented by Independent Book Publishing Professionals Group (www.IBPPG.com).